If you like chicken livers, you'll love this recipe from Chef Vitaly Paley (Portland, Ore.). 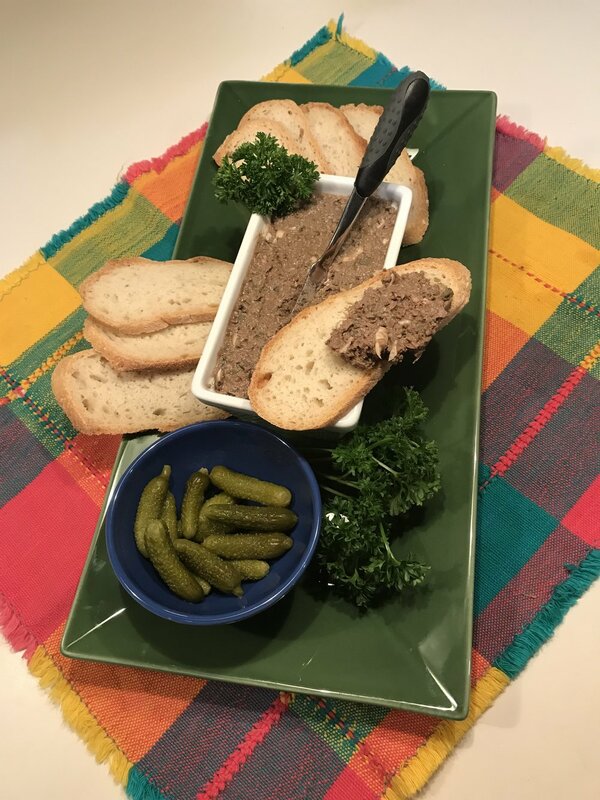 Most chicken liver mousse or pate recipes contains up to half a pound of butter! This is a nice alternative and packed with flavor. Serve with toasted baguette, grilled flatbread, crackers, or as a sandwich spread with sliced red onion and cornichons. In a large skillet heat the olive oil over medium heat until it shimmers. Add the livers, season with salt and pepper, and sear until lightly colored on the bottom, about 1 minute. Turn the livers over; add the shallot, garlic, anchovies, sage and capers. Cook, stirring until the shallots have softened, about 3 minutes. Pour in the sherry and balsamic vinegar, turn heat down to medium-low and simmer for 1-2 minutes. Transfer mixture to a food processor. Add the cognac and pulse until coarsely chopped. Transfer the mixture to a small bowl, fold in the grated egg and season with salt and pepper. Let it come to room temperature, then cover and refrigerate until cold. Can be made up to one day in advance. Makes 1-1/2 cups. – Vitaly Paley, "The Paley's Place Cookbook"